For the last several months, all I have been able to think about was the arrival of Fall. Fall colors, food, trips, weather, holidays. All of the best events occur in the Fall. So far I have been able to cross apple and pumpkin picking, a trip to NYC, wearing boots, seeing my breath in the air, warm soups, cashmere sweaters and pumpkin spice latte’s off of my Fall to-do list. Big things have been happening here which attributes to my absence from blogging and pretty much everything else lately. J and I are hard at work with our big move to our super sweet duplex with working fireplace in Cambridge (everything is packed, J and A are moving all of the small things on Saturday and moving truck comes Monday), J got an amazing job he loves which will take him to Vegas and allow him to test new booze and everything else is just going well! Now that some of the craziness is subsiding, the next step is to focus on the rest of my fall lust list and completing all of things that I have been dying to do. My friend from work C, told me on the fly that she went to this open air Portobello Road style flea/ farmers/ vintage market and that it was amazing. I don’t think an event could be more perfect for me as I love all three of those categories. 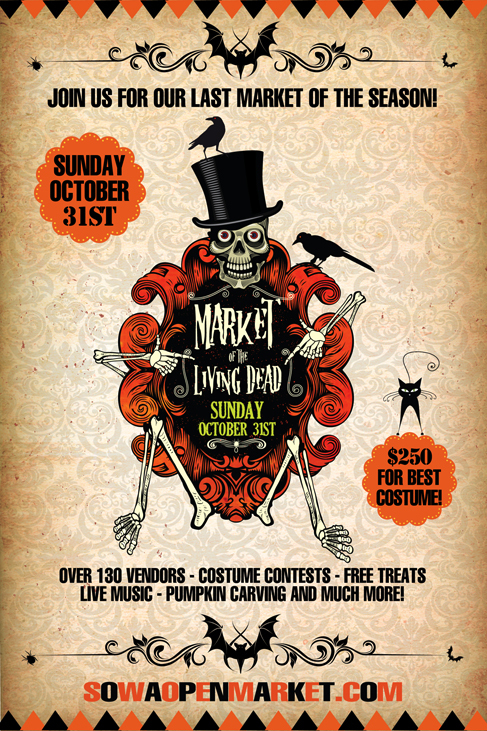 Unfortunately the weather is starting to become increasingly cold here in Boston and the last market of the year is this weekend which I won’t be able to attend. It is however Halloween themed so you all should check it out for me. 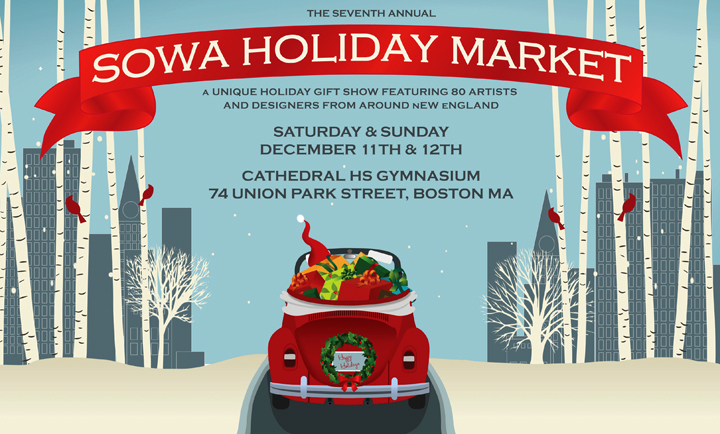 As luck would have it, I just discovered that for two days in December (11th and 12th) SoWa will be reopening indoors for a special Holiday Market which I already uploaded to my outlook calendar and will 100% be attending. I may even perhaps wear Holiday attire… maybe. Outfits aside, I am counting down the seconds until I can step into this amazing market and go wild. Literally. 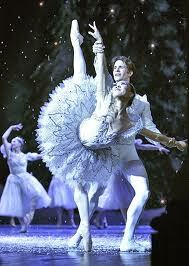 Growing up in NYC with a mother who went to Julliard ballet was always a major influence in my life. Several years ago J surprised me with tickets to Swan Lake performed by the Boston Ballet and I have been dying to go back ever since. 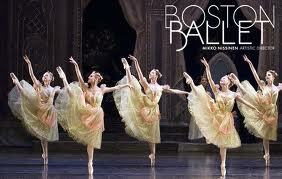 With my Mom and B coming for two weeks this Christmas I am hoping that we can all make it to a show. 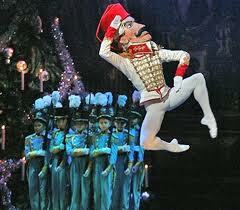 The Nutcracker specifically is such a beautiful ballet from the magic of the story, fascinating costumes and amazing music; this ballet screams Holiday unlike any other performance. If I get lucky the night we go it will snow making it extremely perfect! And of course, this wouldn’t be my blog if everything didn’t come back to food or booze. If I had to estimate how many times a day I think about both of those things I would say it hovers between 50 – 75% of the time. That is semi sad, good thing I have made it my hobby, that and going to the gym so that I can eat and drink all of the concoctions I think about all day long. Anyway– I digress, the martini’s I am currently coveting are creations that J found through his business and both are easily recreated at home. 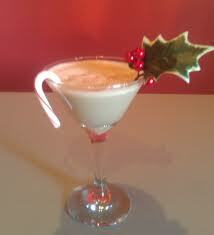 Take 1oz Godiva chocolate liqueur, 1/2 oz peppermint schnapps, 1/2 oz cream. Pour all ingredients over ice into a shaker, strain into a martini glass and garnish with a mini candy cane and fresh peppermint bark crumble. 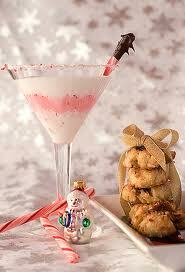 If you want to raise the caliber of your garnish Crate and Barrel makes great peppermint bark edible swizzle sticks. I truly believe that anything with bacon is worth eating. Bacon ice cream, bacon wrapped in chocolate, scallops wrapped in bacon, filet mignon wrapped in bacon, bacon and cheddar deviled eggs…need I say more? Well bacon and alcohol sounds great to me also. In order to make this you must first infuse your vodka with bacon. This is done by soaking strips of cooked bacon (I am heading straight to Formaggio Kitchen for mine) in a bottle of vodka for 24 hours. The drink is ready when the liquid becomes filmy and opaque. After that you can either remove the remaining bacon and dispose of it or break it into small pieces and let it float around the vodka. Many garnish this drink with a strip of bacon. This vodka also lends an amazing flavor to a bloody mary which is how I think I will take mine. Hey, thanks for the nice shout out re: SoWa Vintage Market on your blog. 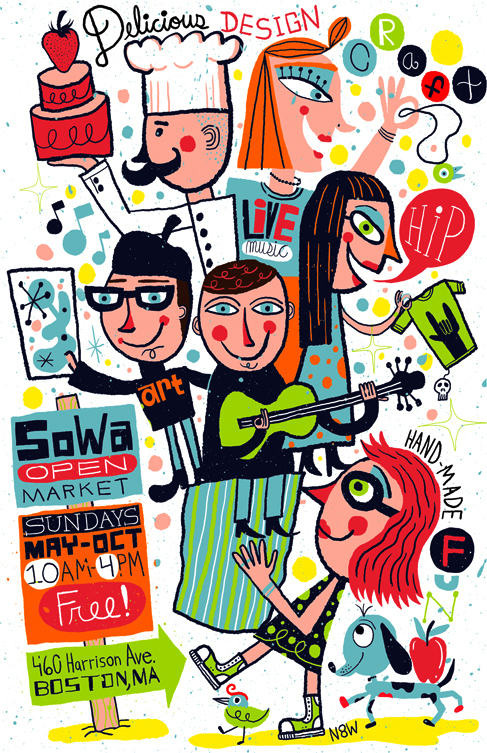 While it’s true the SoWa Open Market is ending this week on Halowe’en…SoWa Vintage Market flies solo and remains open Sundays, November 7, 14 and 21. Please spread the word: 4 more weeks to shop the INSIDE SoWa Vintage Market. Open Sundays 10-4pm through November 21. « Formaggio Kitchen: Prosciutto, Brie, and Truffles, Oh My!